There are often a variety of scents to choose from when purchasing air fresheners. What should custodial executives consider when deciding on scents? McGuire: Always check with occupants to see if anyone has an allergy to fragrances. Malik: Fragrance preference is very subjective. Look for an odor control solution supplier that offers a thorough line of fragrances with multiple selections in each of the primary fragrance families: Floral, herbal/wellness, edible/gourmand, fruity/citrus and fresh/outdoor. • Floral scents are great all-purpose fragrances, providing fresh cut flower neutral scents perfect for any area. • Herbal/Wellness scents can ease depression, and promote relaxation, restoration and health, as well as stimulate the brain. • Edible/Gourmand scents are perfect in areas from food service to nursing homes to promote health and stimulate appetite. • Fruity/Citrus scents are very popular, and they counteract strong odors and can increase alertness. These are great option for restrooms. • Fresh/Outdoor scents give an impression of cleanliness. These are great options for laundry areas, lobbies, and general traffic areas. In order to eliminate odors at the source versus simply masking them, it’s also important to look for an odor control solution supplier that offers fragrances with odor counteracts. Daluga: Ideally, "clean" smells like nothing at all, and thusly, custodial executives should seek odor solutions that don't employ phony fragrances that simply cover up odors. What are some of the most popular scents? McGuire: There are hundreds if not thousands to choose from. Generally those that leave a “clean” not “fruity” scent are best. Malik: Classic scents, as well as creative newcomers are both popular categories. It’s important to select an odor control supplier with the expertise and capability to offer a variety of each across their product offering. Over the past decade, a category of scents known as ozones, have grown dramatically. These fragrances evoke the fresh outdoors and a general feeling of freshness. More recent fragrance trends have focused on indulging or experiencing a feeling or new place, or filling an emotional need such as comfort or stress reduction. These fragrances evoke an emotion while freshening the air. 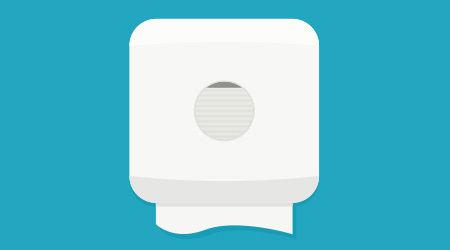 Fresheners can sometimes contribute to restroom odors. Can you over freshen when it comes to odor control? Is there such a thing as too much of a good scent? McGuire: Of course. The best policy is to use a technology that eliminates not masks the odor. Masking is the blending of two different odors that can become just as offensive as the odor itself. Once the odor is eliminated you can use a scent to freshen the air. Malik: Air fresheners formulated with odor counteracts are the optimal solution to both break down and neutralize malodors and leave a fresh scent behind. Without the odor counteractant, an air freshener masks the malodor by overwhelming it with a stronger odor, but does not neutralize the malodor. When using multiple cleaning or odor control products, it’s ideal to ensure the fragrances complement other scents in the area to create uniformity. Competing fragrances contradict each other and can become unpleasant.